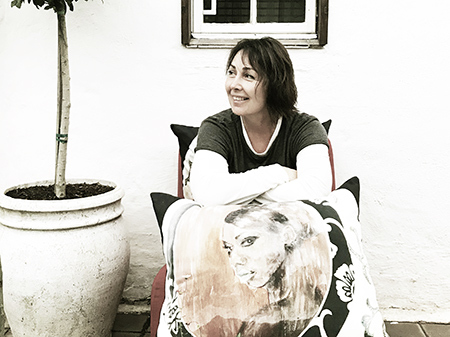 “I have always been a maker and a story teller..and have enjoyed a varied and somewhat inter-connected career .. first studying performing arts back in the mid eighties, then naturally progressing into the visual arts via a well loved career in print media. My father was a part time actor, my mother an artist. So I guess my path was fairly well mapped out for me. “I have vivid memories of myself dressed up in purple hot-pants and knee high plastic white boots at the local community fair, painstakingly ‘fishing’ for the magnetic shark that would win me a pot of paint. The fact that the paint tubs were all a shade of brown and dirty cream didn’t seem to faze me.. as I merrily revamped my world around me in a sort of muddy concoction of acrylic.